Michael is coming to talk to us about Victim Support with which he has been involved since 1998 as a Crisis Worker, working with victims and their families on issues including Suicide and Homicide. He and his wife, Michelle, enjoy travel - normally back packing through old civilisations. He is a collector of old clockwork toys and antique firearms, and other bits and pieces. They have a blended family of three sons and two daughters. Michael originally trained as a Toolmaker and mechanical technician. He has spent time in the Army, both part and full time as an armourer and intelligence operator. He does voluntary work with Police, MFaT and the United Nations in the area Firearms Policy and law and has also assisted the Police in tactical exercises. He has also spent a number of years involved in Judo, Aikido and Tai Chi. Michael is the Chair of the Kapiti Mana Local Committee and a Treasurer for the NZ Council of Victim Support Groups Inc. He has had governance experience as a Director of a privately held company, as President of a National advisory Group, as Chair of a National Council and is an Authorised Financial Advisor, qualified in personal financial planning and risk management. Every year in New Zealand, some 20,000 people are traumatised by crimes or other unforeseen events. Fortunately there is a group of dedicated Kiwis who are there to help. 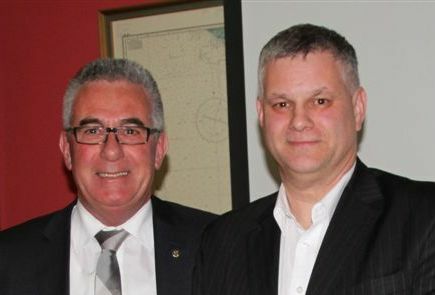 Speaking at Plimmerton Rotary’s meeting on 3rd September 2013, Michael Dowling gave a first-hand account of what it is like to be a volunteer for Victim Support. 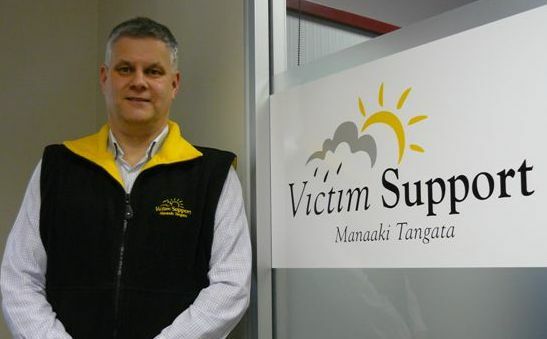 Michael is Chair of Victim Support’s Kapi Mana branch, which was founded in 1990. He spoke about the challenges and also the deep satisfaction of being able to offer tangible help to people when they were at their lowest ebb. He gave an example of a family he had met following the suicide of a young male family member. “You never know quite what to expect in these situations, and in this one I introduced myself and basically sat in the corner of the room for about 3 hours while the family expressed their grief to each other in various ways. Then, one by one, they came over to me to tell me how they were feeling, and to ask practical questions about what would happen next. Sometimes we become a sounding board for the victims, and very often we are able to help the family find the strength to go on”. He related another story where a family member had died and Michael became a kind of facilitator between members of the family who were angry about what had happened. By speaking calmly and reasoning with them, he was eventually able to diffuse the situation. Victim Support administers a relief fund that can be called upon to help victims who are in need, for example paying transport costs to attend a court case following the traumatic event. In addition Victim Support provides advocacy services for victims, and they also facilitate family group conferences. “These conferences are valuable because it is extremely difficult for a perpetrator to show no remorse for their actions when they are confronted by their victims” said Michael. To find out more about how you can become involved in Victim Support please click here. Adrienne Murray told us that the first steps of this major project have come together very quickly. On 3 September she and Jenny Cardno (President Porirua Sundown), Pearl and Latisha Freemantle met with Mayor Nick Leggett, Jethro Mullen and Christine Jacobsen to discuss this project. The council is very supportive and has already been working on revitalising playgrounds around the city. It is interesting to learn that 25% of Porirua citizens are children and that just over 20% of people in the city have some sort of disability. These statistics make the creation of an inclusive playground very important and something that the Council is already starting to focus on. The first steps are consultation across the city and to ensure that interested parties such as the Youth Advisory Group, children of the city, and CCH get an opportunity to give their input into what such a playground would look like. From the Rotary perspective this project is seen as a cluster-wide project and a long-term partnership with the Council and other interested groups to achieve the outcome that will be right for our city. Inclusive is the right term. Understanding exactly what this means is important before we look at the type of equipment that will make this a vibrant and welcoming addition to our city. Adrienne also mentioned that Plimmerton Inner Wheel has very close links with the Rotary Club of Plimmerton and from this month onwards, the newsletters for Plimmerton Inner Wheel with its links to District-wide Inner Wheel information, as well as articles of interest for Inner Wheel members, will be included in this website. Watch this space! John O’Connell shared the sad news that Liz Sneider’s elder sister has been killed in a car crash. Liz was our inward International Youth Exchange student in 2010. A card was passed round for members to sign. Richard Sherwin told us that there will be regular raffles in the coming weeks, with some prizes, the proceeds of which will go to subsidise the Christmas party which will be held on Wednesday 4 December. Phil passed round a few copies of the excellent article he has written on the history of the Pathway project. This will be posted to the site shortly. The President conveyed the news that Peter Lillico has been granted Life Membership of the Paremata Boating Club, a well-deserved honour. Don gave us a rather profound parting thought at the end of Michael’s talk - ‘Violence is the last refuge of the incompetent’. Original generation time 1.4225 seconds. Cache Loaded in: 0.0284 seconds.